In a recent post, Deportation Monitoring Aegean reports about deportations as a business model. It describes the role of private companies facilitating deportations from the Greek Islands to Turkey, which are employed by the European Border and Cost Guard Agency FRONTEX. The post follows the financial flows surrounding the execution of deportations. Via Deportation Monitoring Aegean – The European Border and Coast Guard Agency, better known as Frontex, supports the operational implementation of the deportations under the EU-Turkey statement. This means that the agency is responsible for deploying so-called “forced-return escorts” that support the Greek authorities with deportations. Furthermore, Frontex supports the Greek authorities with technical assistance in terms of organizing means of transportation, operational coordination and financial resources of return operations. In a previous post we discussed the trajectory of deportation and illustrated how commercial tourist companies play a key role in facilitating deportations. In this post, we will elaborate on the collaboration between Frontex and commercial tourist companies to illustrate how commercial interest and migration management coalesce. In order to excavate this relationship, we will first shortly discuss the role of Frontex in the deportation process. After this brief introduction, we will discuss the relation between commercial companies and European agencies, to unpack the social and political implications of this cooperation. Yet, it should be mentioned that the role of Frontex within the deportation regime is complex, and the presented text is not an all-encompassing description of their tasks. 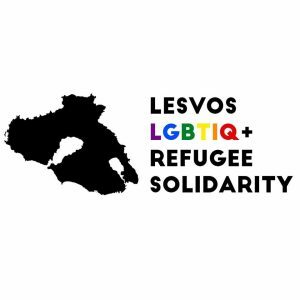 Deportation Monitoring Aegean published a report about the detention complex of Moria camp on Lesvos Island. The report describes the legal grounds for detention in Greece and the actual policy of detaining migrants, focusing on the situation in the pre-removal prison of Moria camp. It criticizes detention of migrants on arrival based on their national belonging and the conditions of detention, following individual stories of asylum seekers held in detention. The number of people who agree to “voluntary” return from Greece to their country of origin with the programme of “Assisted Voluntary Return and Reintegration” of the “International Organization for Migration” (IOM) is significantly higher than the number of deportations to Turkey since the EU-Turkey statement. What happens to migrants who sign up for the IOM return programme during the process and after the return to their home countries? Why do asylum seekers agree to leave Europe again? The observation of several cases reveals that many migrants face detention and serious physical and mental harm during and after their participation in the programme of “Assisted Voluntary Return and Reintegration”.